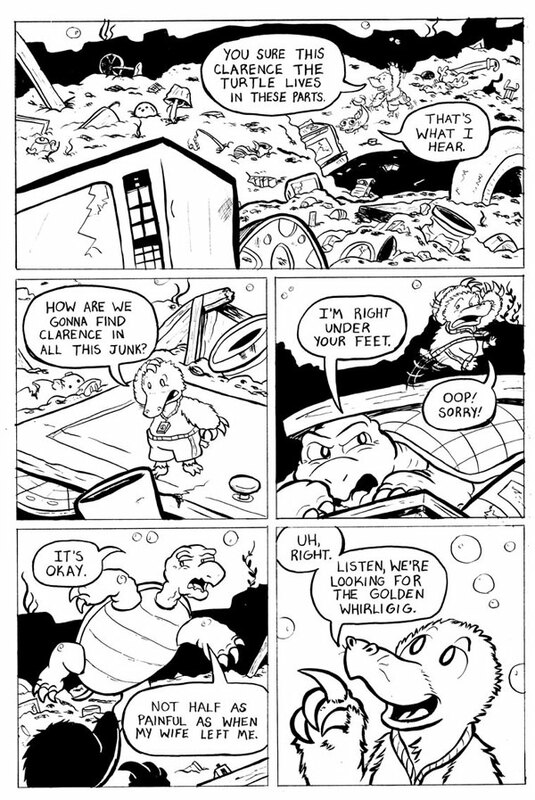 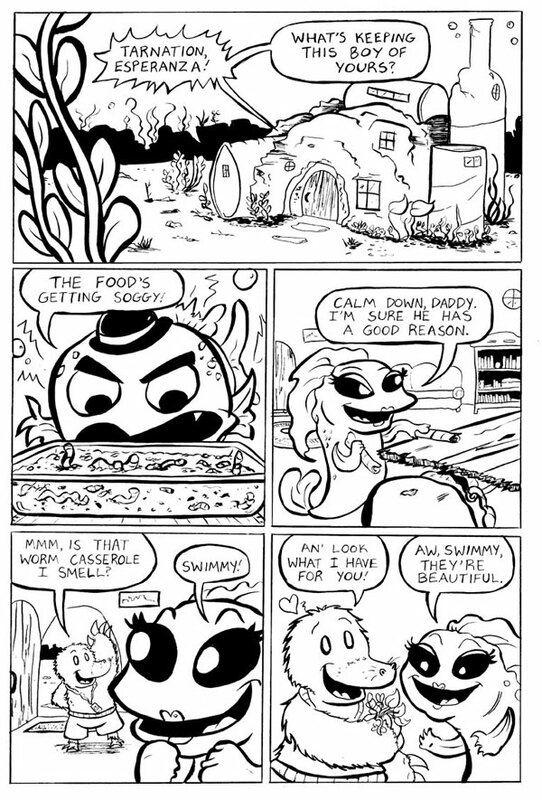 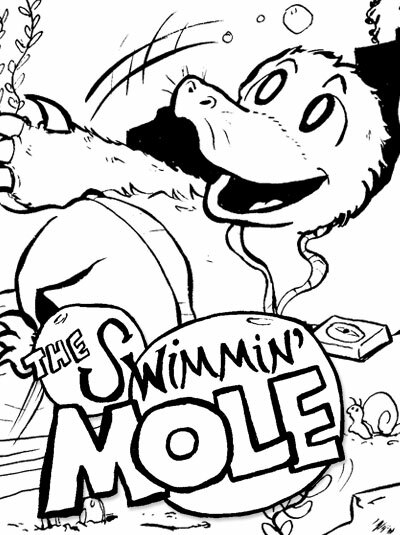 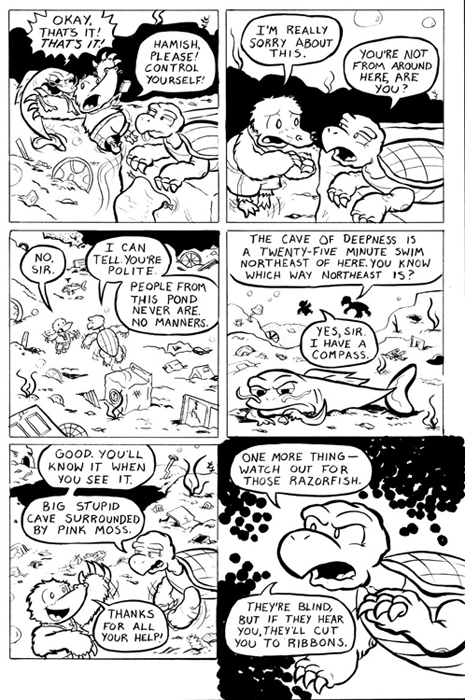 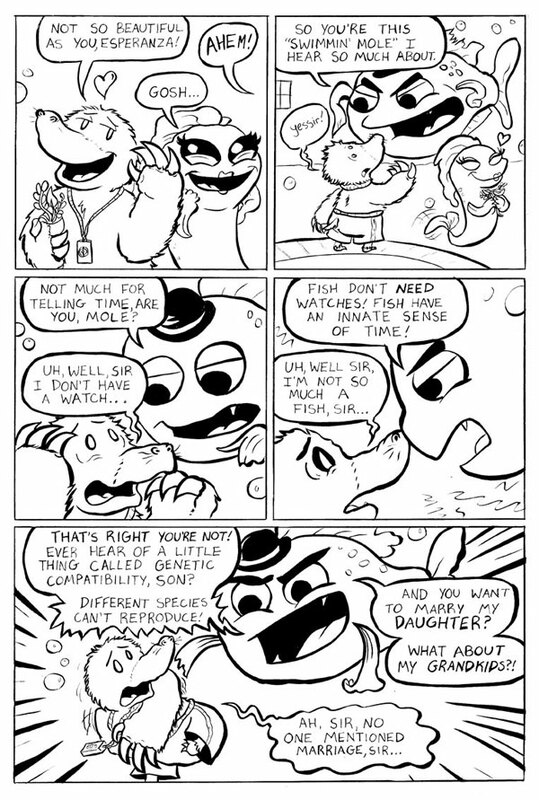 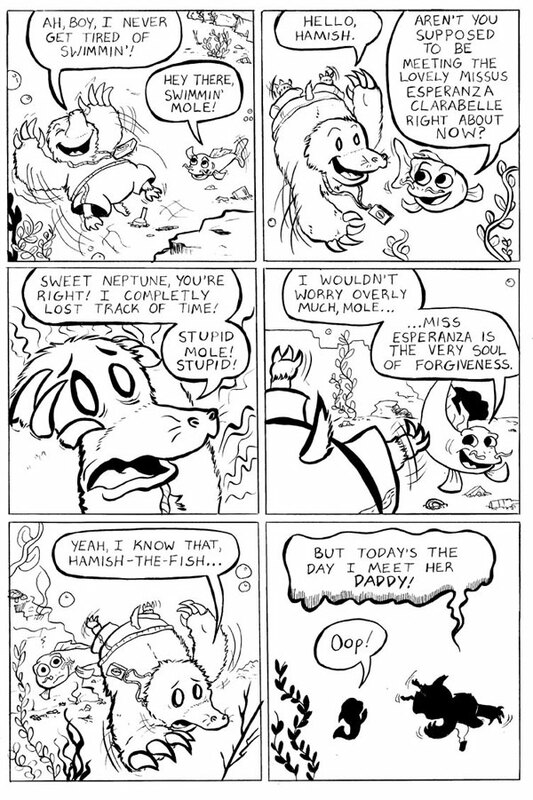 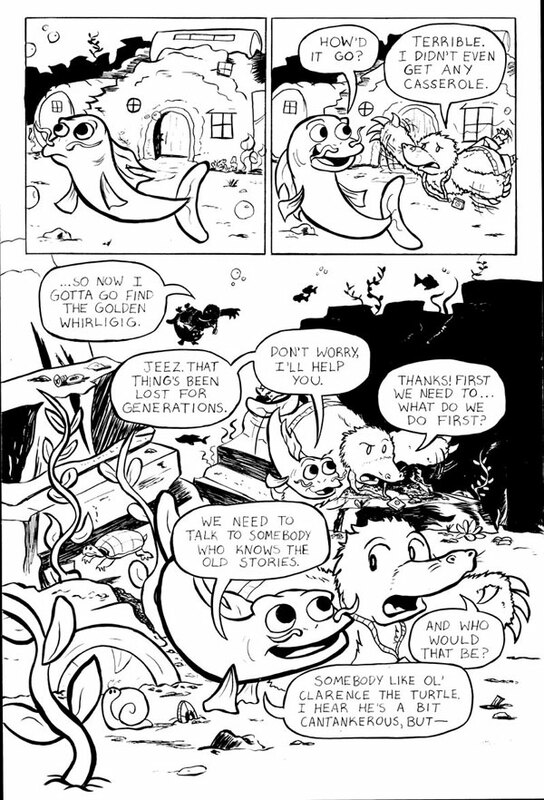 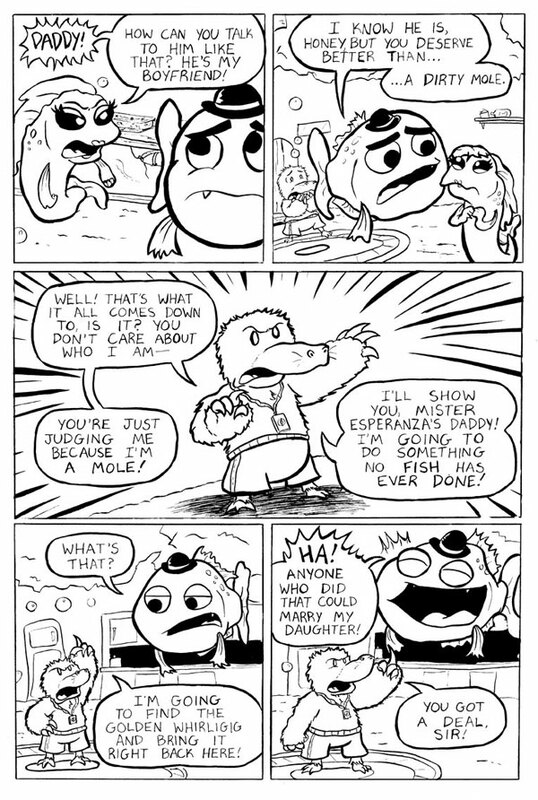 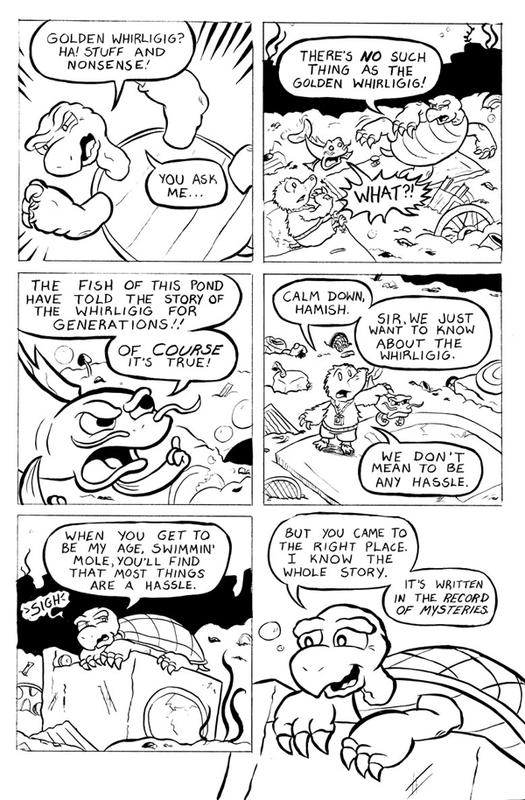 The Swimmin' Mole is a collaboration I'm currently working on with writer Leighton Conner. 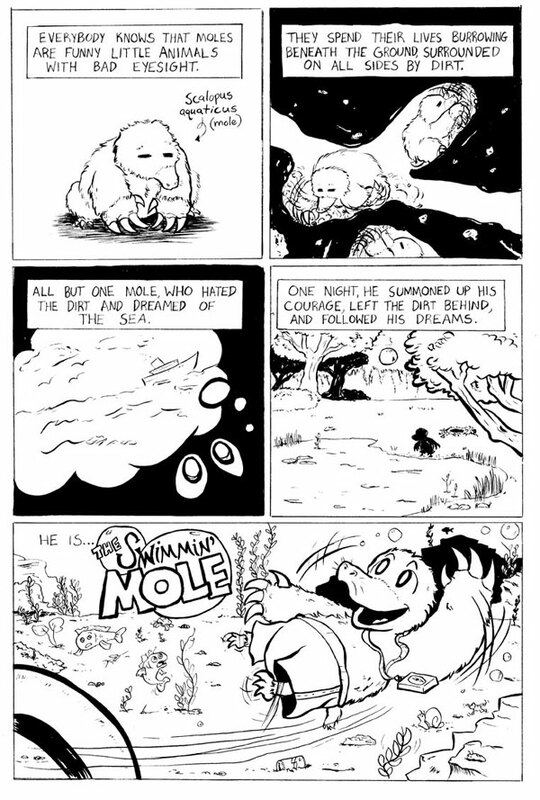 It tells the story of Swimmin' Mole - a mole who prefers swimming in the water to digging in the earth. 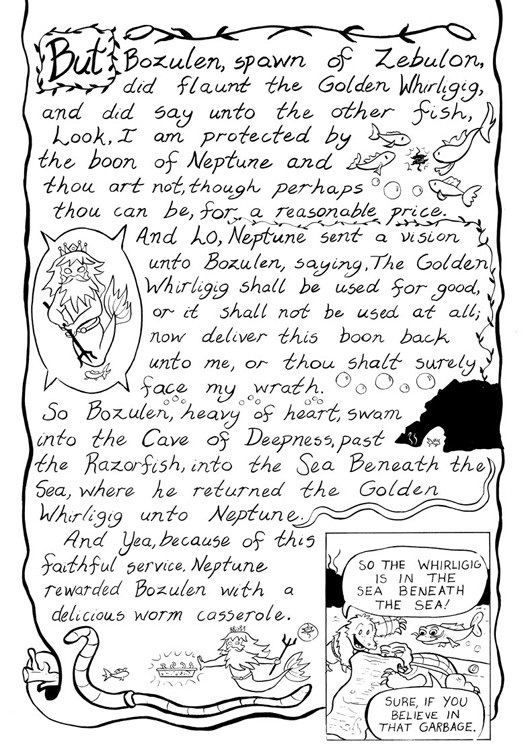 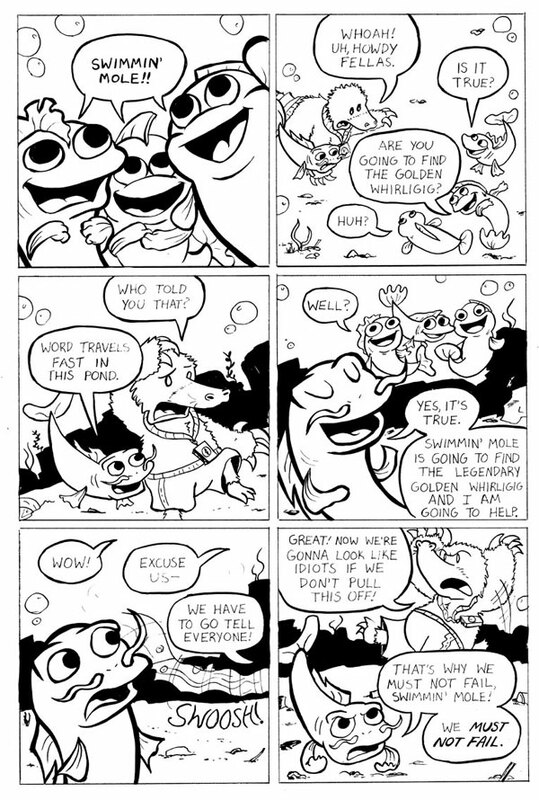 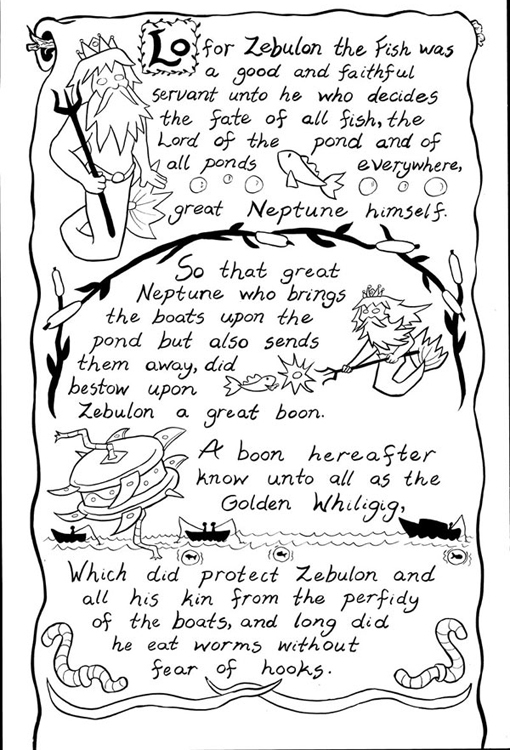 In order to impress the father of the lovely fish Esperanza, Swimmin' Mole and his best friend Hamis go on a quest to find the fabled Golden Whirligig.